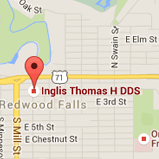 Inglis Orthodontics, conveniently located in Hutchinson, Glencoe, Cokato, and Redwood Falls, MN, has been creating spectacular smiles for more than 35 years. Dr. Thomas Inglis and Dr. Jessica Knorr truly care about the health and well-being of those they serve, and are excited to share with the world the benefits of orthodontic treatment. Love your smile for life! We are focused on quality, personalized care through comprehensive treatment, while advocating optimal cosmetic, functional, and dental health treatment goals. 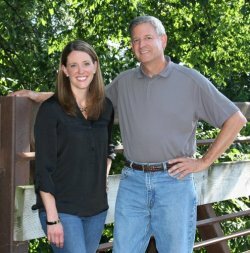 Dr. Inglis and Dr. Knorr are father and daughter orthodontists, combining their skills of years of clinical experience with training in new technology. Our treatment options are state of the art, and include traditional metal and clear braces, Invisalign® clear aligners, and removable retainers. 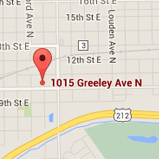 We have an approachable staff, dedicated to making your treatment an enjoyable and comfortable experience. When you’re ready to begin your orthodontic journey, please feel free to contact us to schedule your complimentary exam. 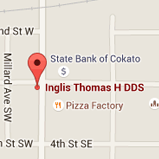 With locations in Hutchinson, Glencoe, Cokato, and Redwood Falls, there’s sure to be an office near you. 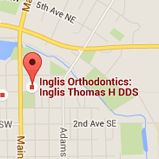 We look forward to meeting you and welcoming you into our orthodontic family!